Hellenic PH was invited to the Greek TV show “Everything For My Health” (Ola gia tin igeia mou), a health talk show broadcast by Mega Channel on 21 December 2013 in an episode focusing on rare diseases. 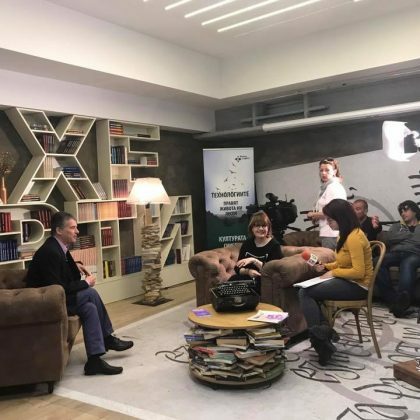 We would like to warmly thank NewsitAMEA tv and the talk show host Mr. Vaggelis Sarris for inviting us to the show that was dedicated to rare diseases. A big congratulations to everybody for their effort and their work!